Lowcountry love! 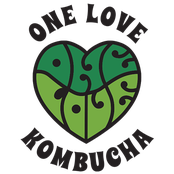 We are blessed to partner with South Carolina’s finest retailers to offer kombucha that is made for locals by locals. Stop by and meet us at our farmers market locations and grab a 4-pack or fill up growlers with our rotating selection of local seasonal flavors. Subscribe for updates on our workshops & retail locations!